Take a look at what some of our past clients and media outlets are saying about the 5 star catering service we provide here at 360 Catering and Events. "I could not have picked a more reasonable and fantastically delicious catering service than 360 Catering. What really made this location awesome was Cody, the caterer/vendor. He is a very laid back guy and really wants to make you the person in charge of your event. (I asked if we could set up a bouncy house, just to test him, and he laughed and responded "Absolutely its your day!" Cody is a caterer first (its so obviously his passion) so you'll notice he wants to show you photos of his food displays before pictures of the venue. But his passion shows, we served steak to 140 people and it was perfectly cooked.People kept coming up to tell me that the food was fantastic(and I had a great deal of foodies to please!). Cody also doesn't nickle and dime you. No cake cutting fees etc. His bar menu and food prices are a complete steal! Especially considering the local competition. " 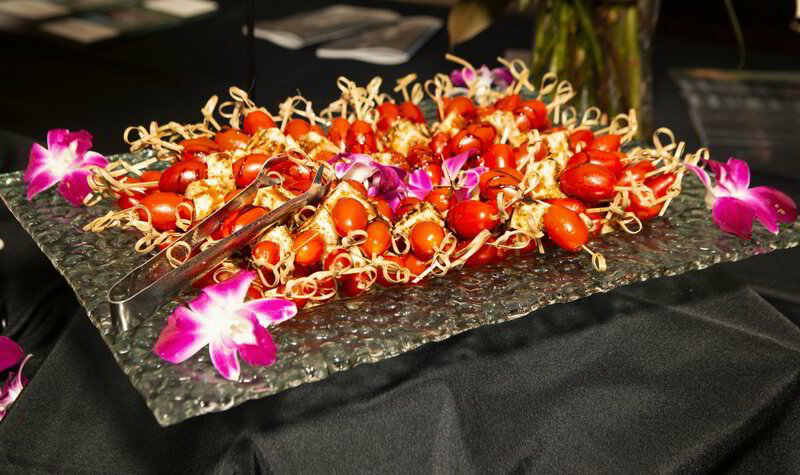 "I highly recommend 360 Catering and Events. The food was wonderful and the service was great! They really helped work with me to fit my budget and my needs! Cody was such a fantastic help and an amazing planner! I don't know what I would have done with out his! He's fabulous! " The 360 crew did an outstanding job with making our 1960's themed party in our home and backyard perfect. Cody helped us with ideas for the special food for our theme. The quality of the food was outstanding and the entire crew was very kind an extremely professional. Awesome job! Cody Hickman will be involved with any and all events we do in the future!! "360 Catering crew made our Grand Opening outstanding! The food was delicious and the staff was extremely professional and made sure my guests were completely taken care of. One thing is for sure, the next time we have an event, my first call will be to Cody Hickman! Thank You, Cody for fulfilling ever promise you made to me! " "We had a TCU graduation party for our daughter and Cody was so helpful putting the event together. From the set up to the clean up he was on top of it throughout!!! He suggested the perfect menu and the 360 Catering chef created a menu that far exceeded our expectations! I will not hesitate to call him again!!!!! " I've seen enough! How do I book you? Call Us at 817-714-8996 or click the button to request a free quote! 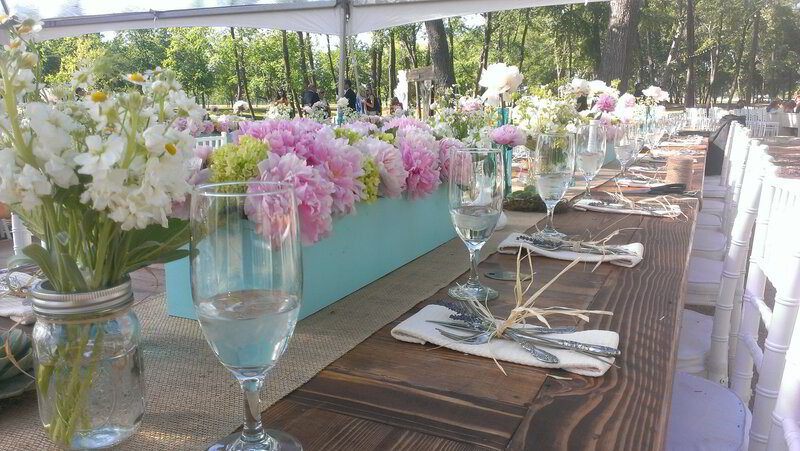 "360 Catering turned my wedding nightmare into my dream wedding. When I got engaged, the first two things I did was to find a venue and hire a caterer. Exactly one (1) month before my wedding, 6 months after I had paid my first caterer 2/3s of what I owed him, he disappeared with my money and left me feeling helpless, because I didn’t know any catering companies to call. Luckily a co-worker overheard me talking about my disaster and gave me Cody Hickman's business card. I immediately called Cody and after hearing my story, the first words out of his mouth were, We can help! Not only did he make sure our menu was exactly what I wanted, the food was outstanding and the service was perfect. I can’t say enough great things about 360’s team of outstanding professionals. The Personal Attention, The Food and The Service were way beyond my expectations! They will be the only catering company I ever work with in the future!" "Cody, I just want to say thank you for following through with everything you promised during my wedding planning process. The food, which each of my 175 guests loved, was served and tasted exactly like it had during our bridal tasting. Your staff was so professional, helpful and polite to everyone in attendance; and, they went above and beyond anything I had expected of them during our celebration. You had my back from the beginning to the end and were always willing to help with ideas, suggestions and plans that would help my wedding reception flow throughout its entirety. Thank you again for everything! It was a pleasure getting to know you. Merry Christmas to You and Yours & Enjoy Your New Year! " I was asked to comment on the following questions about 360 Catering and Events by a local wedding venue that is considering selecting you as one of their three preferred caterers. (So Glad They Decided to Add YOU!) I wanted to share what I had sent back to them! 1 - Were you happy with the services provided by 360 Catering? Absolutely. I used 360 Catering to provide catering and event staff for a wedding reception and they were incredible to work with. 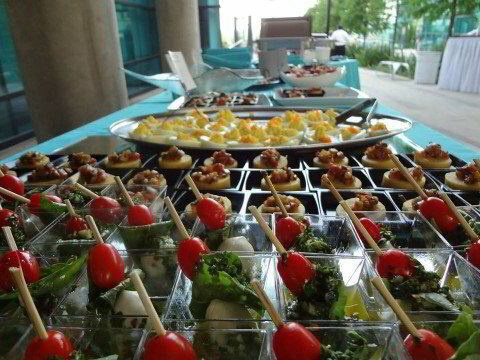 2 - Do you feel that 360 Catering and their staff were easy to work with? Most of my interaction was with Cody. He was outstanding to work with. He made all the expectations clear, but was flexible with our needs and requests. 3 - Did you have any concerns using 360 Catering? 4 - If given the chance, would you hire 360 Catering again? 360 Catering will be the first company I will call in the future. I've recommended them to other people since our experience. I'd like to make a few more comments, if I may. One of the things that impressed me was that Cody called Taylor's Rental (who provided plates and tablecloths and such) to make sure we had everything we needed. He didn't need to make that call, but it's one example of his going the extra mile to make sure the event went off without a hitch. When we came in for our tasting, it happened to be on my birthday and Cody insisted on surprising me with a small birthday cake. Again, we'd already signed the contract and everything so this was one of their personal touches that made all the difference. It was clear that he had developed a good working relationship with the venue. Cody and the manager at Victory Arts Center worked well as a team and made the process much easier for us. If I didn't mention it earlier, the food was incredible. I've been to too many wedding receptions where the food is a dull spot on an otherwise wonderful evening. This was not the case with 360 Catering. Cody worked with us to put together a fabulous menu that all our guests enjoyed. The event staff, servers and bartenders, were professional in their appearance and demeanor. I think that making 360 Catering & Events one of your preferred caterers would be a wise and prudent business decision and I'm confident that if you do, your expectations will be exceeded just as mine were. Please do not hesitate to let me know if you have any other questions." We'd Like to Earn Our Next Five Star Review with YOU! These are just a sampling of the many wonderful reviews we've received over the years. 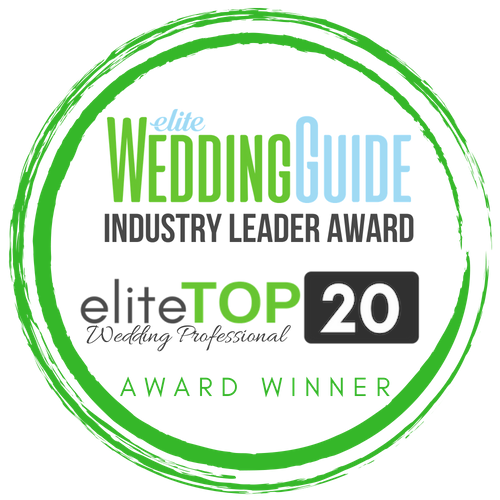 In addition, we were honored to be named Caterer of the Year by Fort Worth Magazine in 2017, and this year were added to Elite Wedding Guide's Elite Top 20. This is a nationwide honor that recognizes the 20 best companies in respective wedding fields. We would love the opportunity to get to work for you and help you create a memorable event for you, just like we did for the people whose stories you read on this page.